Yesterday, at the International Auto Show in New York, Volkswagen unveiled its newest version of the Beetle. Only the second redesign in the brand’s 70-some year history, the 2012 Beetle retains many of the hallmarks of the brand, but with wide-rimmed wheels and a flatter top, it has a decidedly more masculine look than the 1998 redesign that brought the Beetle back into the mainstream. If you like the design, it’s worth noting that the new Beetle comes with a number of features for the tech savvy customer. Like many new cars, it will have bluetooth, touch-screen radio, a navigation system, and ambient lighting. For those willing to splurge, a nine speaker Fender Premium audio system is available as well as 18-19 inch wheels, keyless access, and other fancy features. 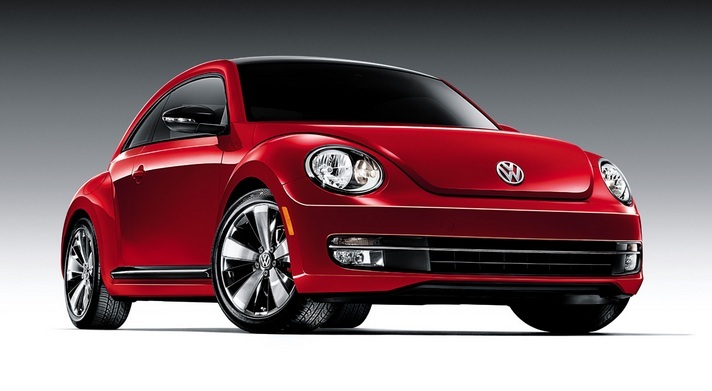 In addition to looking more masculine, the 2012 Beetle has new engine options. Buyers can choose between a 2.5L gasoline five cylinder engine, a 2.0L TDI Clean Diesel engine, or a 2.0L TSI “turbocharged” gasoline engine. The car gets an estimated 40 mpg on the highway and 29 mpg in the city. The full unveiling of the Beetle is below.